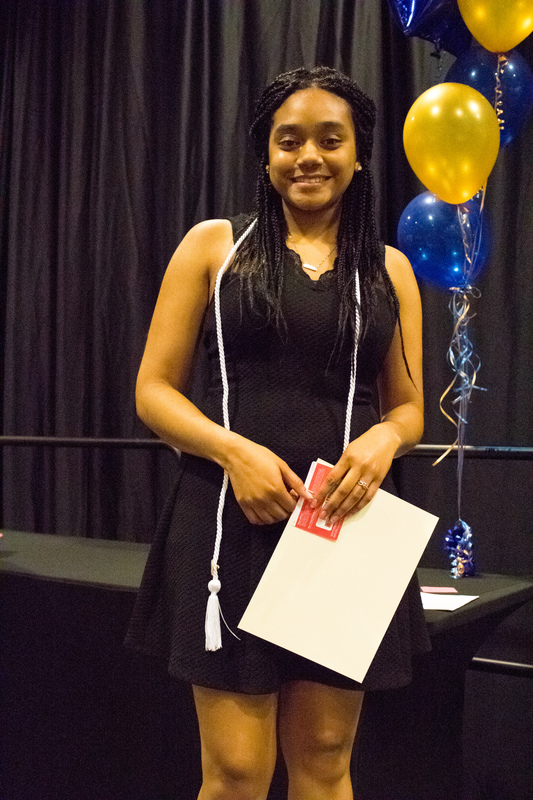 Partnership 4 Kids (P4K) student, Timberly Walker plans to attend University of Nebraska at Omaha (UNO) to study social work this fall. She is eager to dive into her classes and her new “college life”. But college wasn’t always part of Walker’s life plan, in fact, when she was in middle school she had already written college off as a pathway that wasn’t for her. After transitioning from elementary school to middle school, Walker struggled to make friends and to keep her grades up. Luckily, support from P4K staff, mentors and her fellow P4K classmates during her middle and high school years helped Walker to realize her potential. Attending regular after-school meetings with P4K helped Walker to connect and socialize more easily. She was also able to pull her grades up and eventually found herself on the Honor Roll. Walker believes the most impactful part of her participation in P4K was the information and resources that she received from agency about pursuing a college education. “P4K has played a big part in helping me plan for my future,” Walker says. P4K staff and mentors educated her on the ins and outs of college, and made the concept more tangible by providing tours at multiple two and 4-year post-secondary institutions. Now, nothing can stop Walker from achieving her dreams, and the staff of P4K couldn’t be prouder to have played a part in her journey. Congratulations Timberly! We can’t wait to see where college takes you.